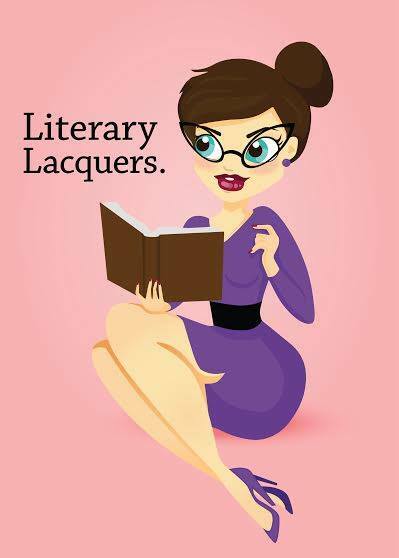 Alright my dearest readers! 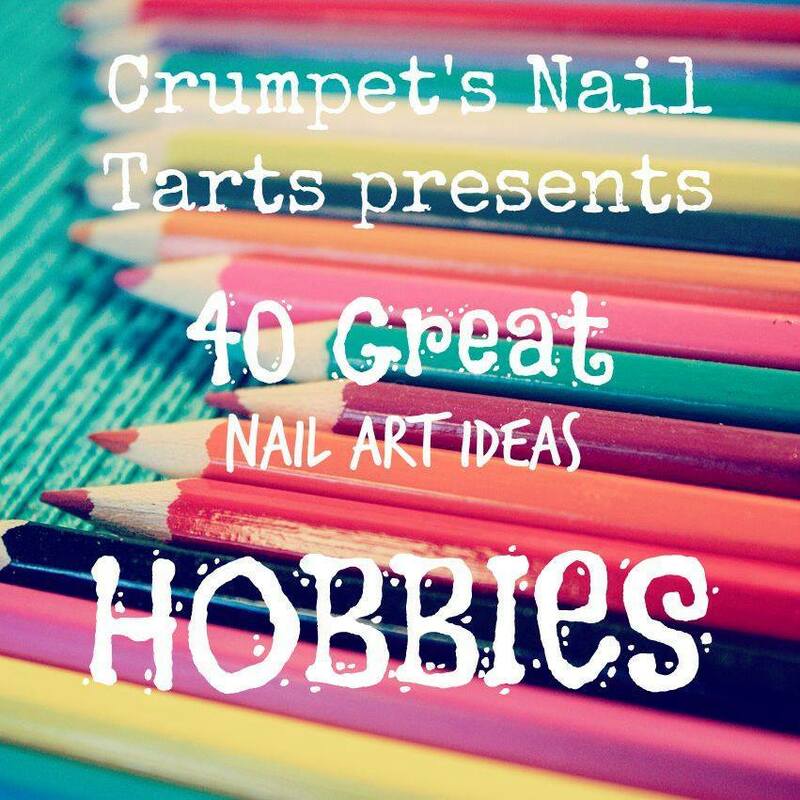 I have another exciting bunch of creme polishes to show you today. Recently four makers (three of them already long-time favorites of mine and one I’ve been dying to try) got together to start a collaboration box. 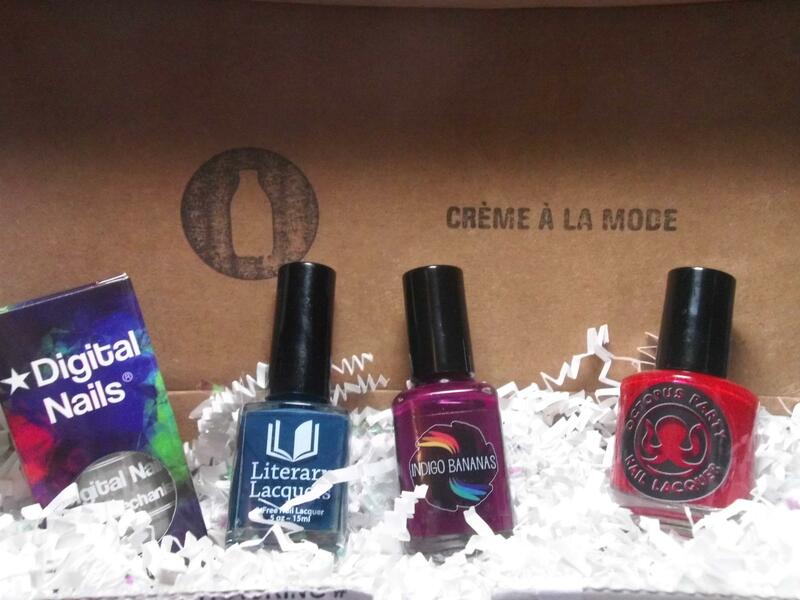 Each quarter a new box will be released of fashion-forward, seasonal, on-trend colored creme polishes. Their first box was a quartet of fall colors. Of course the instant the pre-order was opened I snagged my box…I definitely wasn’t going to miss out on this! 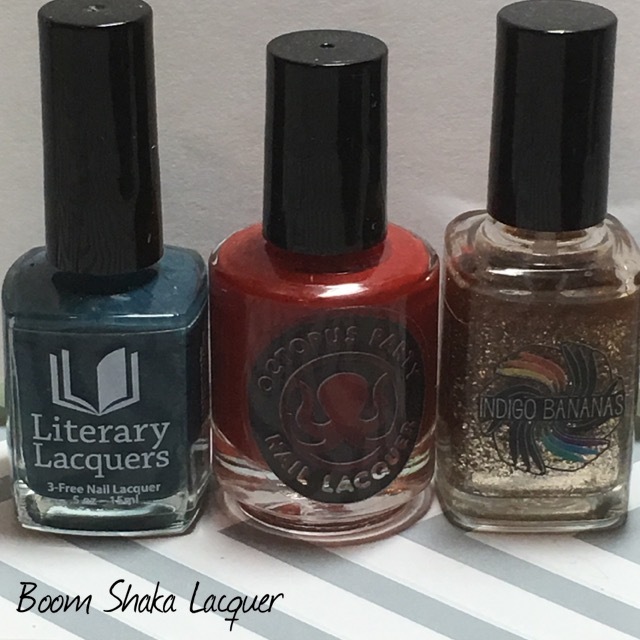 This is how the Creme a la mode box works: Every quarter Digital Nails, Literary Lacquers, Indigo Bananas, and Octopus Party Nail Lacquer are going to release four on-trend creme colors. These will first be offered in the Creme a la mode box which is a pre-order at an amazing discounted price (under $30 – can’t beat that!). Once the Creme a la mode box has made its way into the eagerly awaiting hands of the customers the individual brands will release their own individual color in their shops, at the normal price. So that means if some random shenanigans keeps you from ordering the box, never fear, you can still get the colors later but they will be priced higher. So, each of the polishes I show you today will be, if they aren’t already, available through each brand’s website. Whew! That’s a lot to get through I know! But it’s so worth it because these polishes are the… creme de la creme (HA! See what I did there??!!) and definitely live up to the hype! Oh yes, The Dark Side of Maroon almost made me swoon (rhyming for the win!). 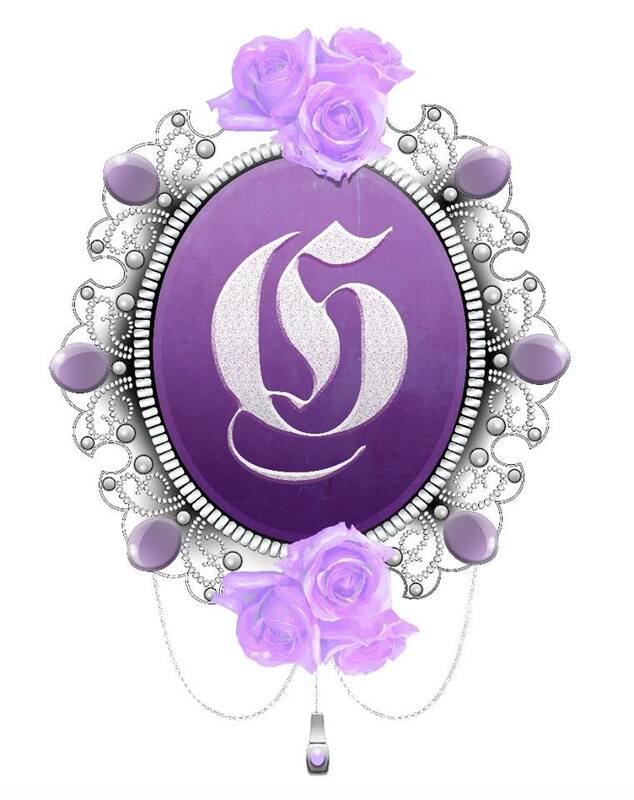 The color is an absolutely beautiful deep wine color. Perfect for fall. Honestly, if you are more into vampy dark colors, it’s perfect for any season! Excuse me…I was just drooling a bit over here. In fact I’m pretty sure I need to go put this back on again right now. The formula was very good. The polish goes on a bit sheer in the first coat but is fully opaque in two coats, which I think is perfectly acceptable. It self-levels beautifully and dries to a high-shine finish. 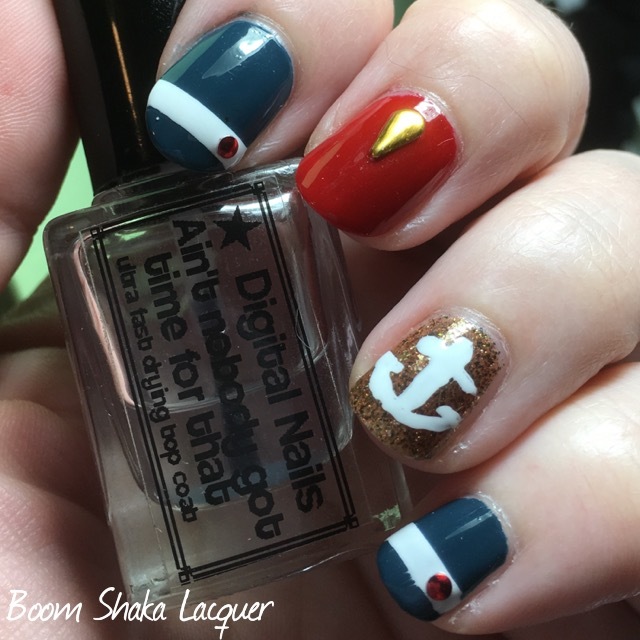 I had no problems with application on this polish and found it very easy to work with. It is highly pigmented so you’ll want to keep clean up to a minimum if possible because it can be a touch tricky, but no more so than any highly-pigmented dark or red color. 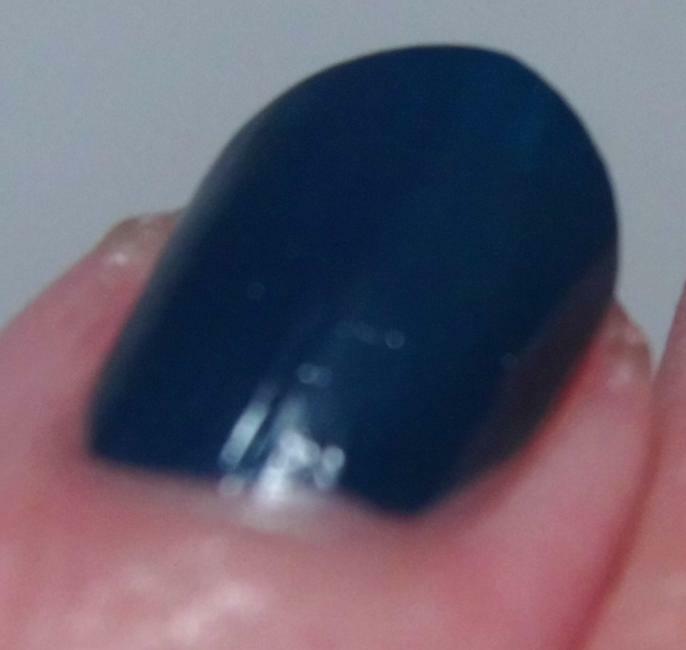 Pictures show two coats, sans topcoat. Hubba freaking hubba. Yeah I said it. 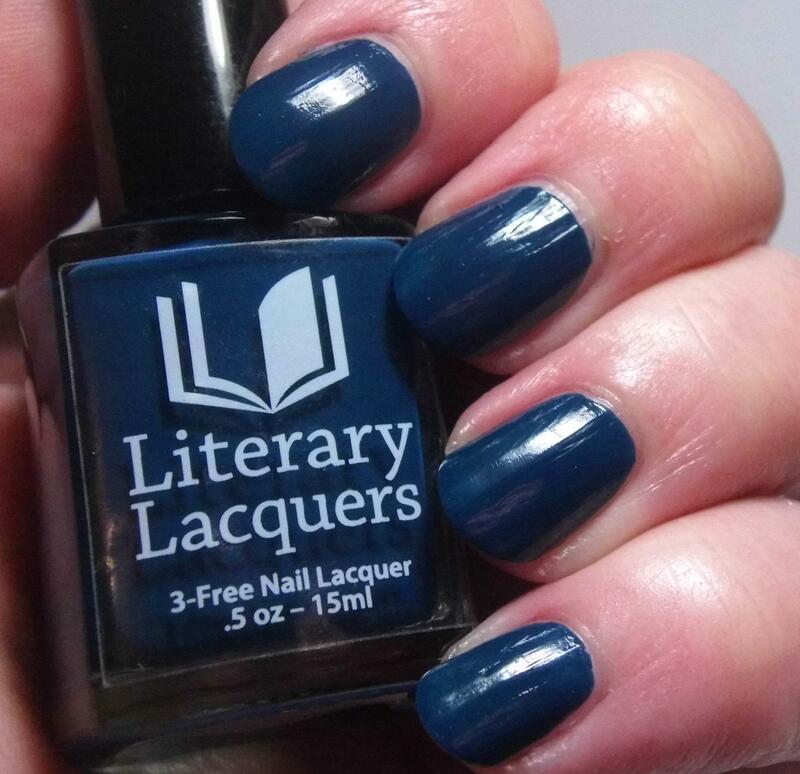 We already know my well-documented love of navy blue polish. This polish is utter perfection color-wise. 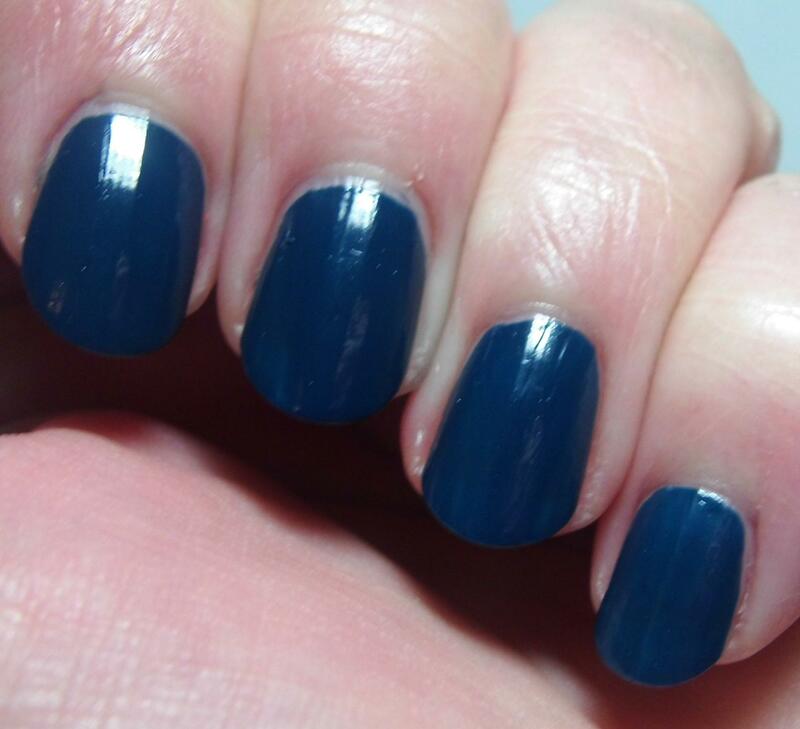 It is a deep rich navy blue without leaning teal or being so dark that it appears black. It’s just stunning. Can I get a round of applause? Holy cow these pictures make me want to wear them all again! 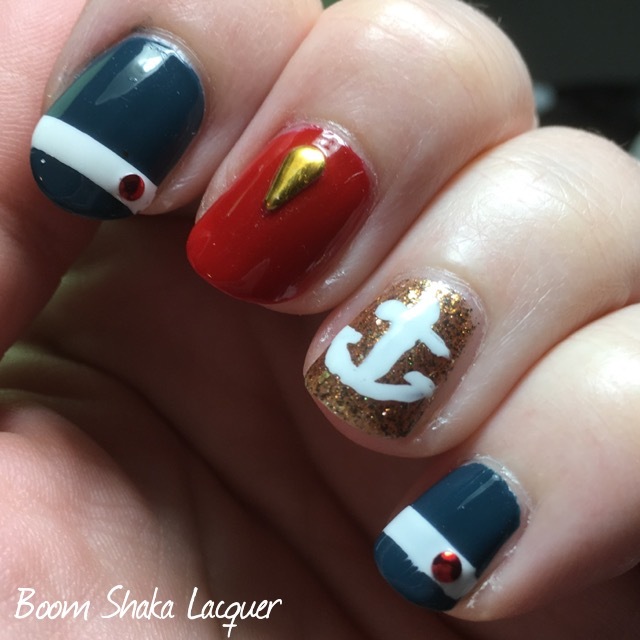 This polish could have been a one-coater. For the interest of pictures and consistency I did two coats. Again another fantastic formula, self-leveled, dried to a high shine. This one was very easy to apply and I had no problems with snags, drags, or streaks. 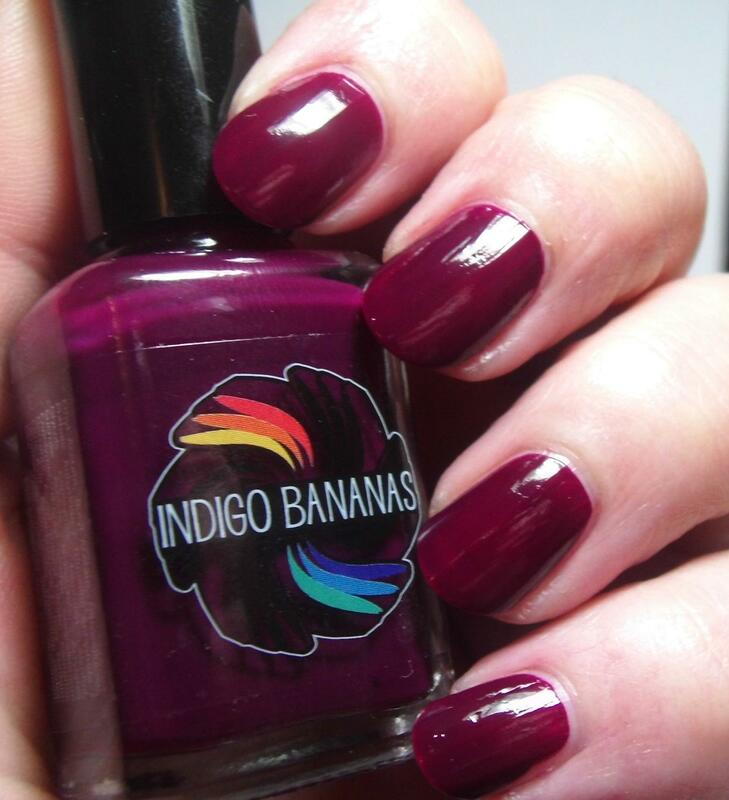 Like the Indigo Bananas, it is highly pigmented so you’ll want to keep clean up to a minimum if possible because it can be a touch tricky, but no more so than any highly-pigmented dark blue polish. Holy freaking crap! 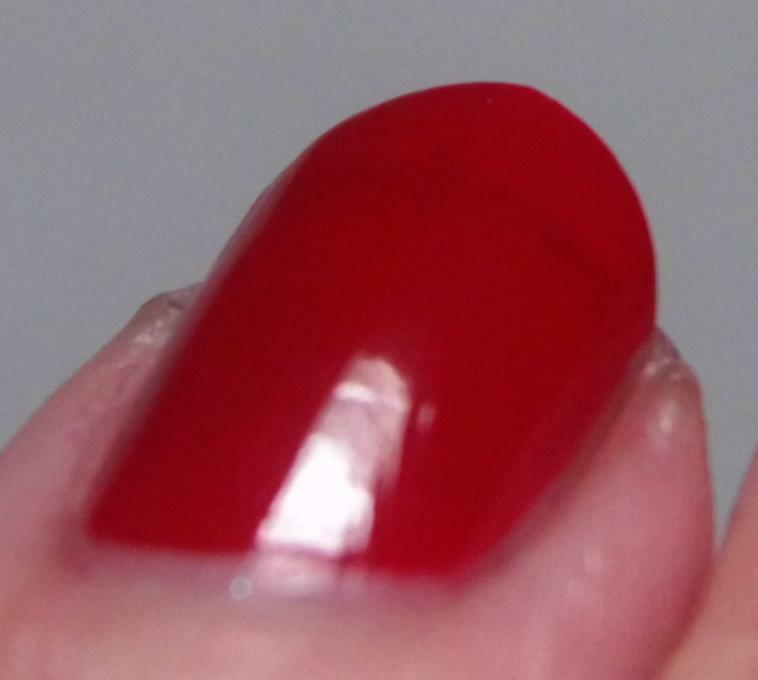 This is a true red creme polish. Fun fact, I did not own a true red creme. I know, I know, no need to hyperventilate! I’m aware that it’s nail polish sacrilege not to own a true red creme but, I didn’t. So, yeah, needless to say I was all about this one. I didn’t even want to take the swatch off so I kept it on for like two days. 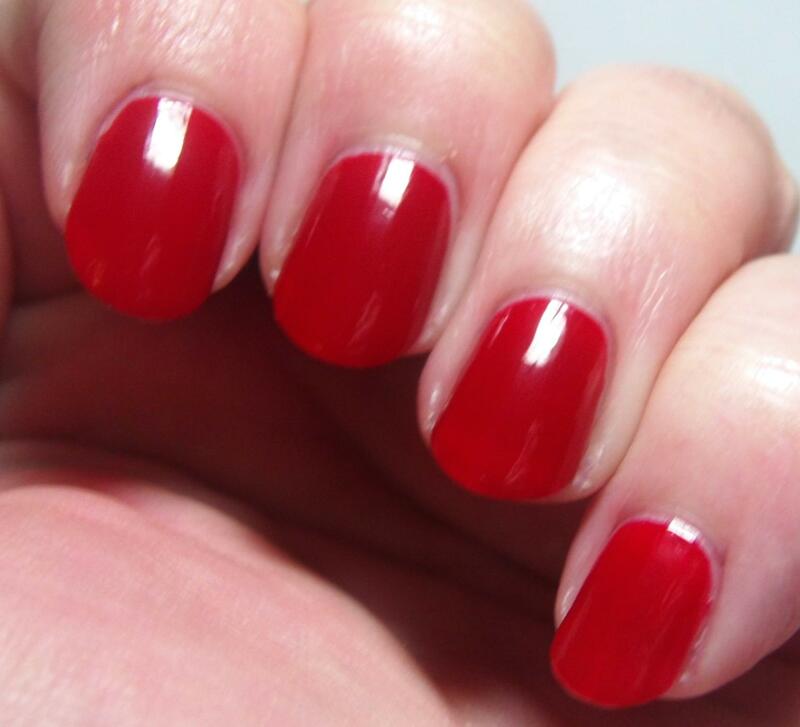 You can’t more classic than a true red creme polish and this one is beautiful. Ditto my reaction to Bluestocking Romance. Hubba freaking hubba AGAIN! Like The Dark Side of Maroon the first coat on this is a bit sheer but builds to perfect opacity in two easy breezy coats. 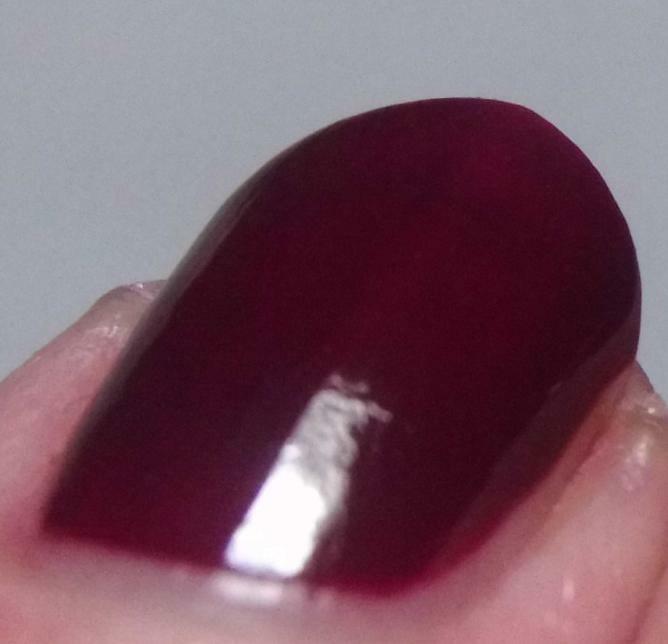 Highly recommend careful application, because, this is a highly pigmented polish and like a lot of reds, dark blues, and dark purples they can be a little bit tricky to clean up. The good news is that it had a very easy to control formula and it made careful application not only possible but delightful. Dried to a high-shine. Oh.My.GLOB. EVERYTHING. This polish is EV-ER-Ything to me! I spend so much time trying to find perfect neutral polishes and I always gravitate to grey. 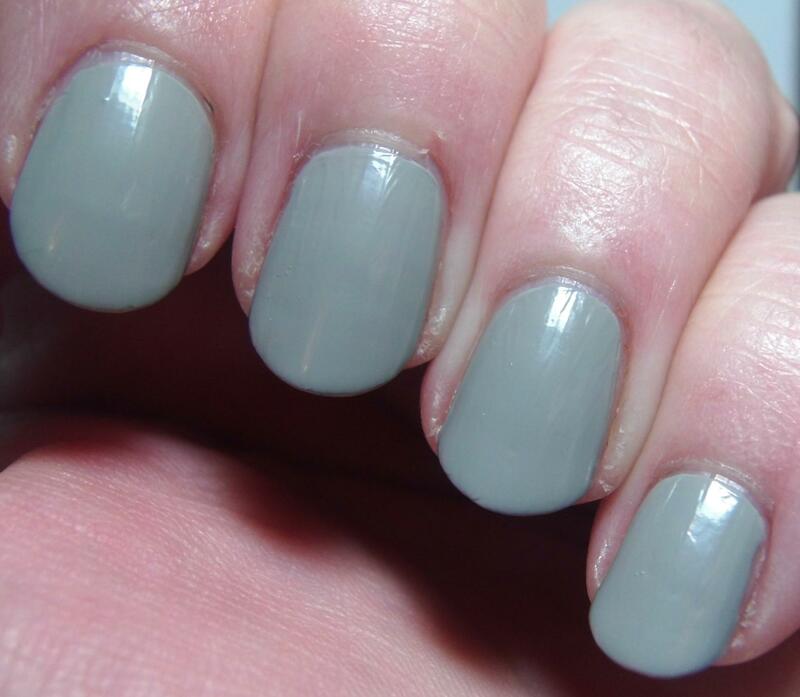 This is a beautiful putty or “greige” color. The perfect balance of beige and grey. I am so in love with this color I can’t stand it. I just know it will be the base of much nail art and be layered under glitters galore. 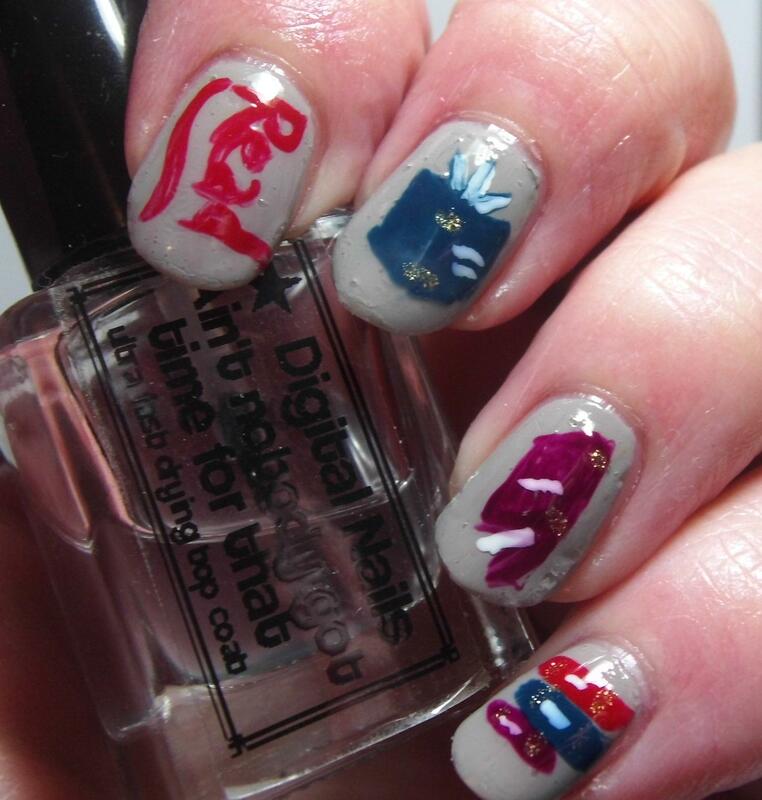 I have come to expect, and receive, perfection from Digital Nails’ polishes. I should have known that a creme polish would be the same. 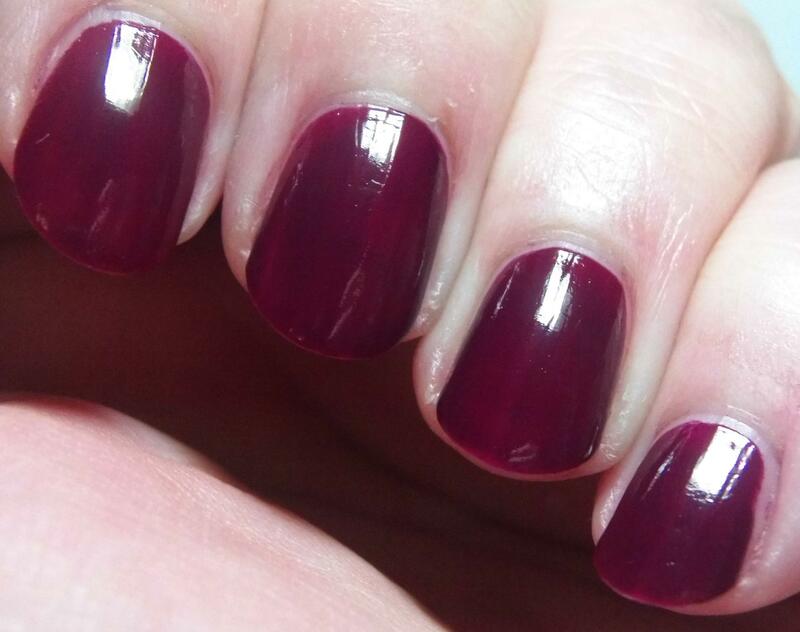 This one is very opaque and was easily opaque in two coats and some people may be able to get by with just one. I looooove the brush in this polish (something I rarely mention because, well, nail polish brushes are all pretty ok for me mostly) it’s round and fluffy but doesn’t lose any of the control that you would expect from a polish brush. Self-levels, check. High Shine, check. Great formula, check! This one was the easiest to clean up but that’s to be expected as this is a much lighter color. There you have it. I have broken down the inaugural Creme a la mode box. 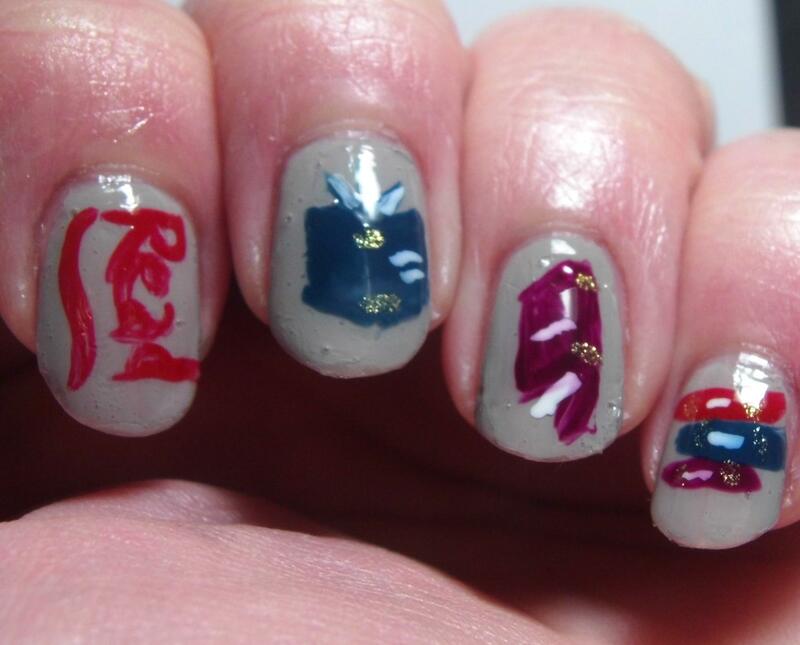 I loved every one of these polishes. 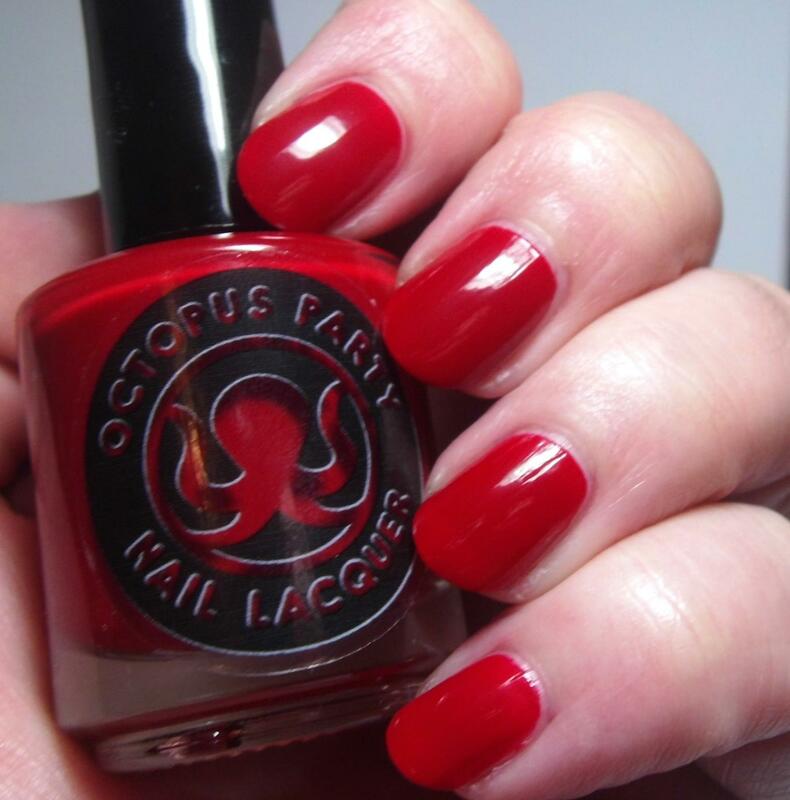 I’m delighted to finally add an Octopus Party Nail Lacquer to my collection (and I know it won’t be the last). Trust me, next quarter grab the box when it’s up for pre-order. You won’t be sorry. Make sure to follow all the makers on their social media and check out their shops if you missed the Creme a la mode box this time.